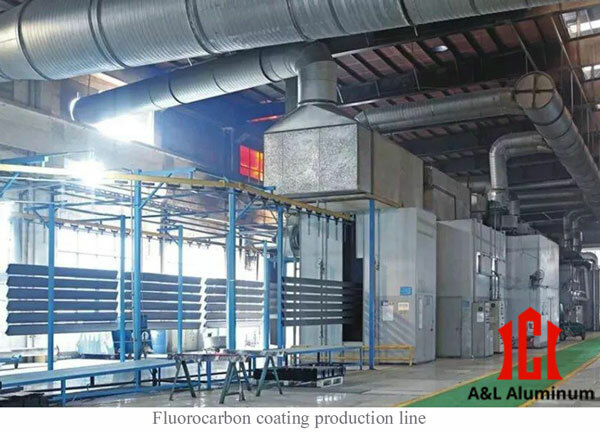 The fluorocarbon spraying equipment of industrial aluminum extrusion profile has excellent atomization effect and ensures the uniformity of the sprayed layer, the existing fluorocarbon spray coloring type is abundant. The fluorocarbon spraying process uses multi-layer spraying. The types of fluorocarbon spray coating include two coats (primer and surface coating), three coats (primer, surface coating and varnish), four coats (primer, barrier paint, surface coating and lacquer), strictly control the process from the pre-treatment process, spray process and curing process to ensure the quality of aluminum surface coating. A fine and stable chromium film is formed on the surface of extruded aluminum components. This film has a certain degree of wear resistance, corrosion resistance and good adsorption capacity, so that the coating material in the coating process can improve its adhesion. After reading this blog, do you want to learn more about related information like "The method of aluminum profile surface treatment: fluorocarbon coating"? Please follow us and we will update more knowledge for you.